Flip a coin. If heads opponent is paralyzed and cannot move for 2 turns. 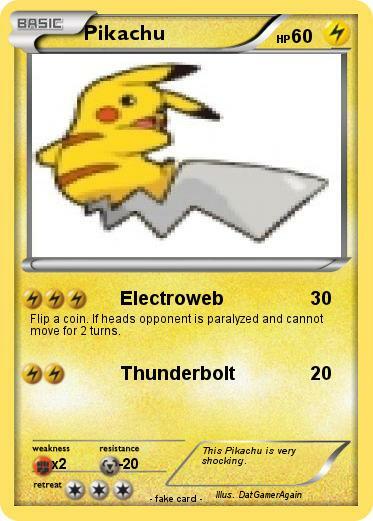 Comments : This Pikachu is very shocking.